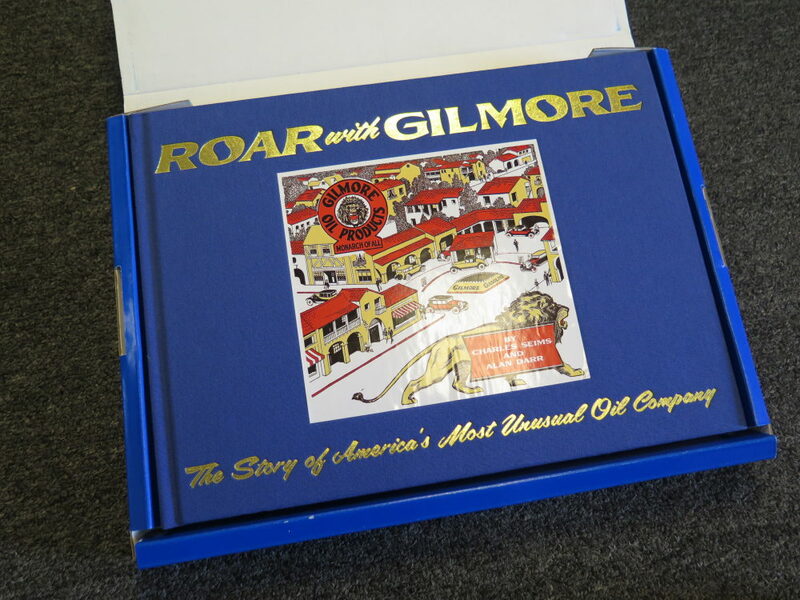 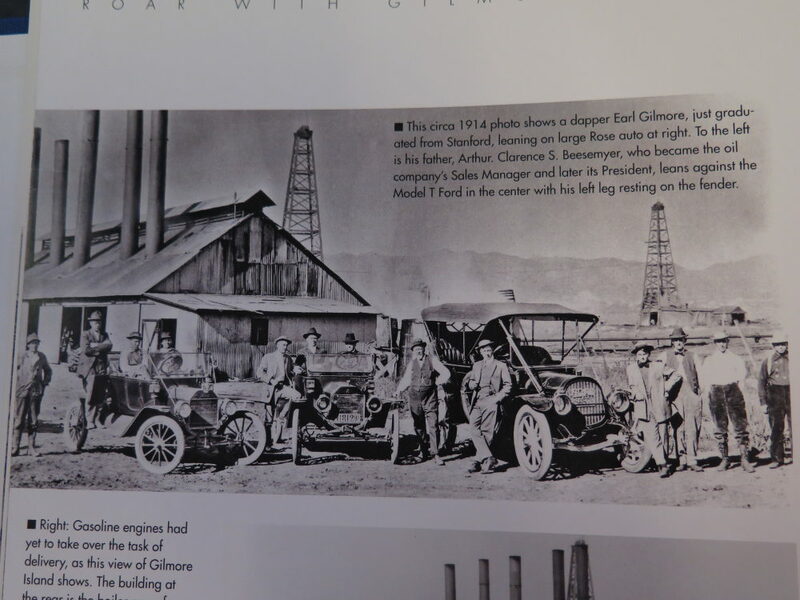 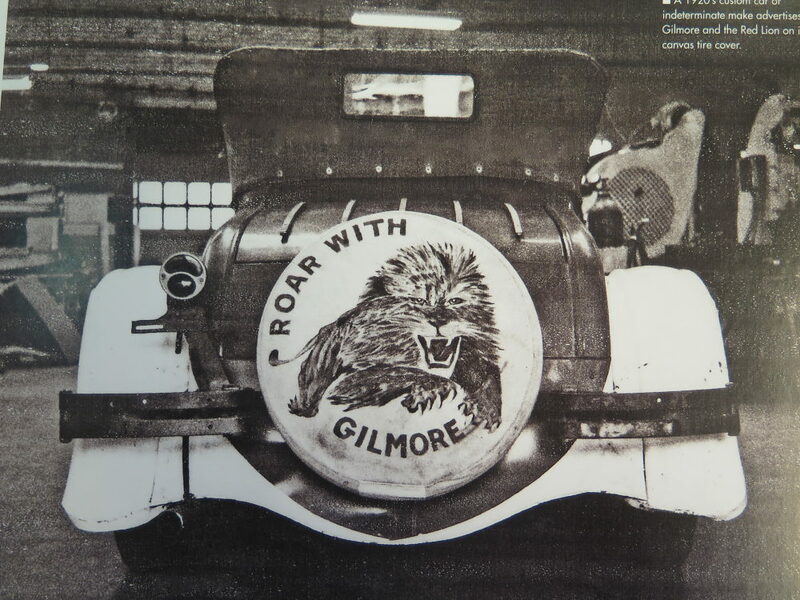 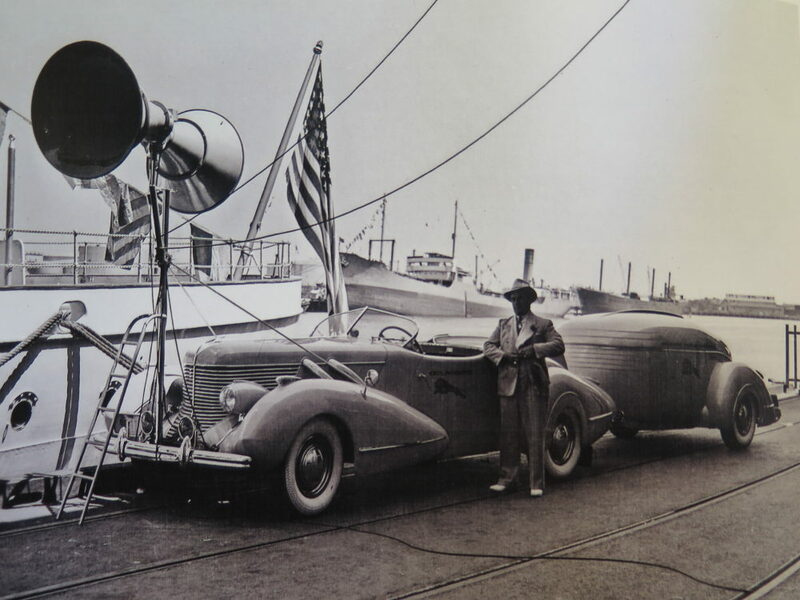 “Roar With Gilmore, the Story of America’s Most Unusual Oil Company” by Charles Seims and Alan Darr. 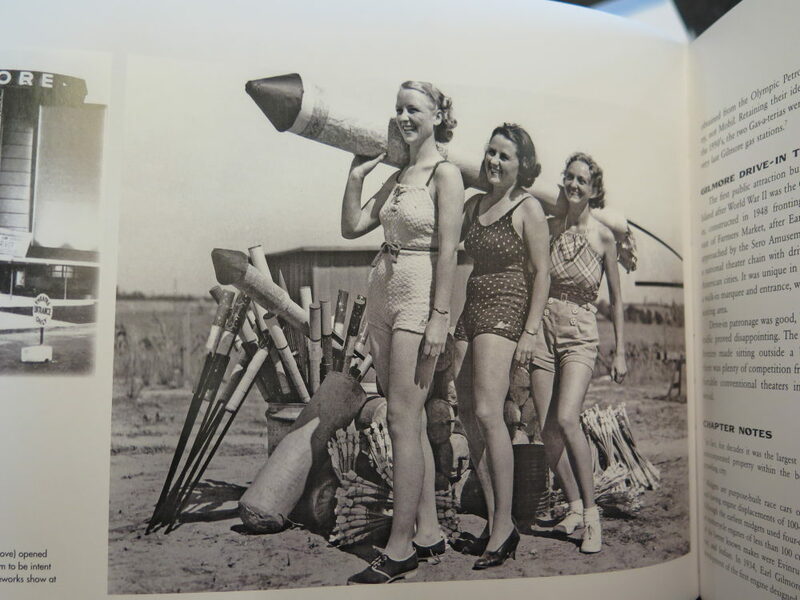 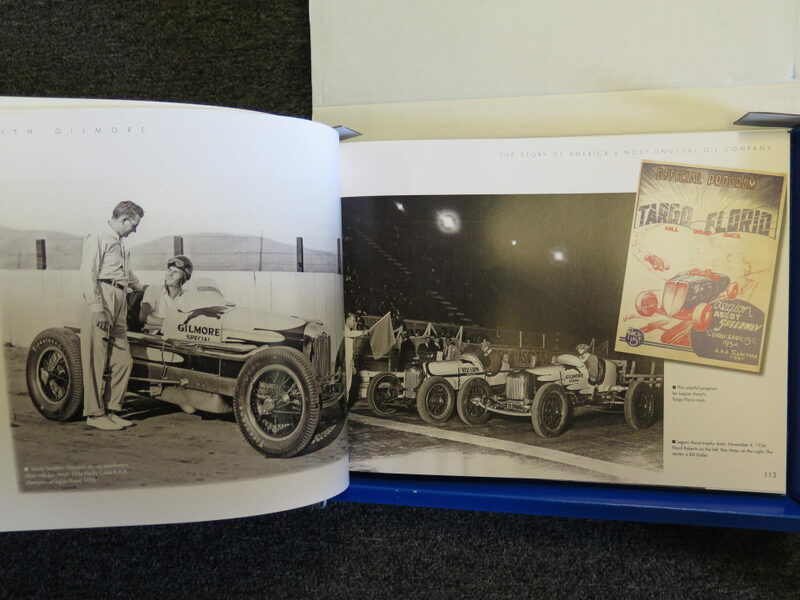 240 pages, hardcover and with over 200 photos, most never before published. 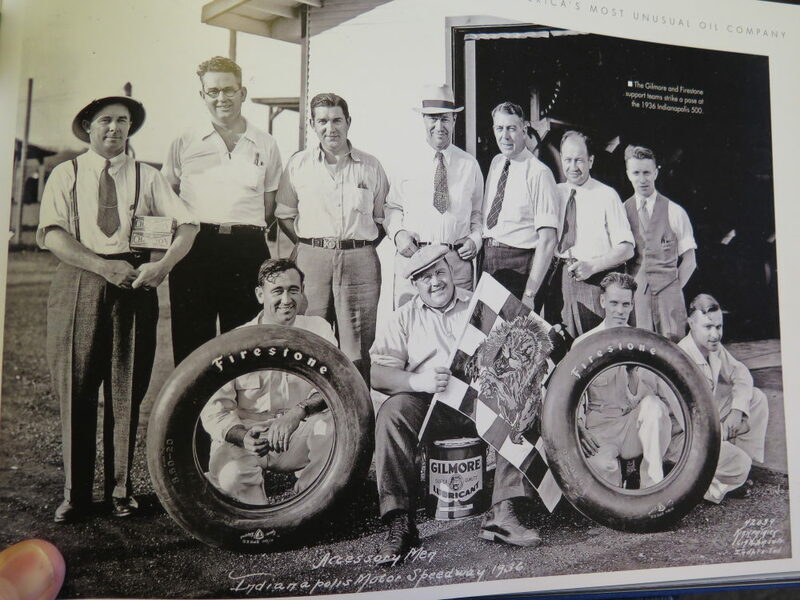 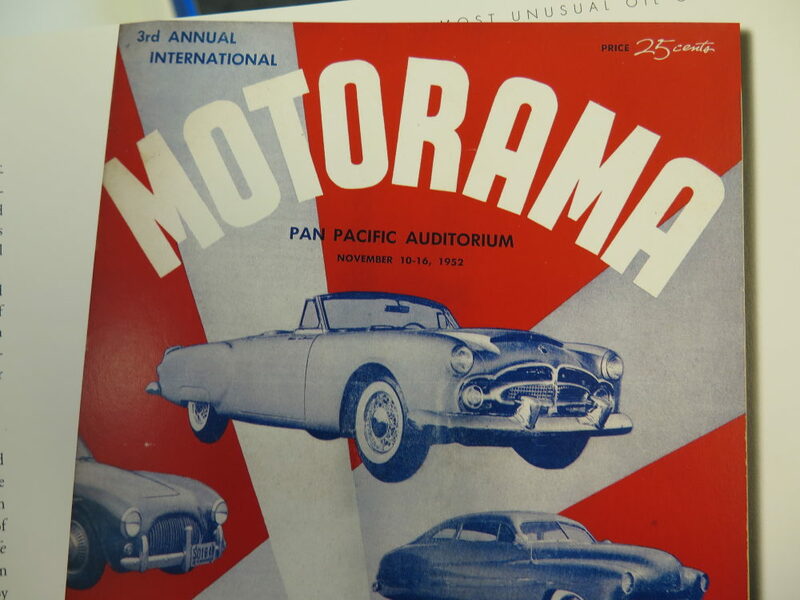 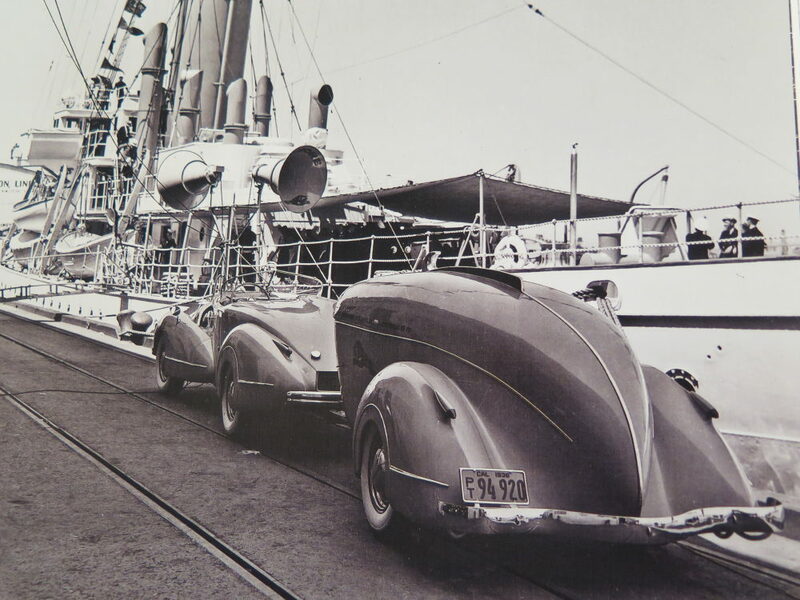 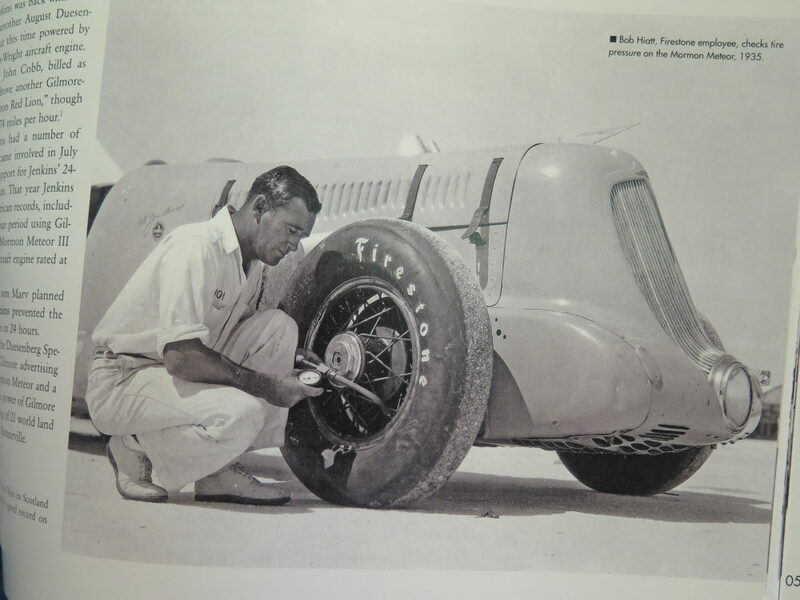 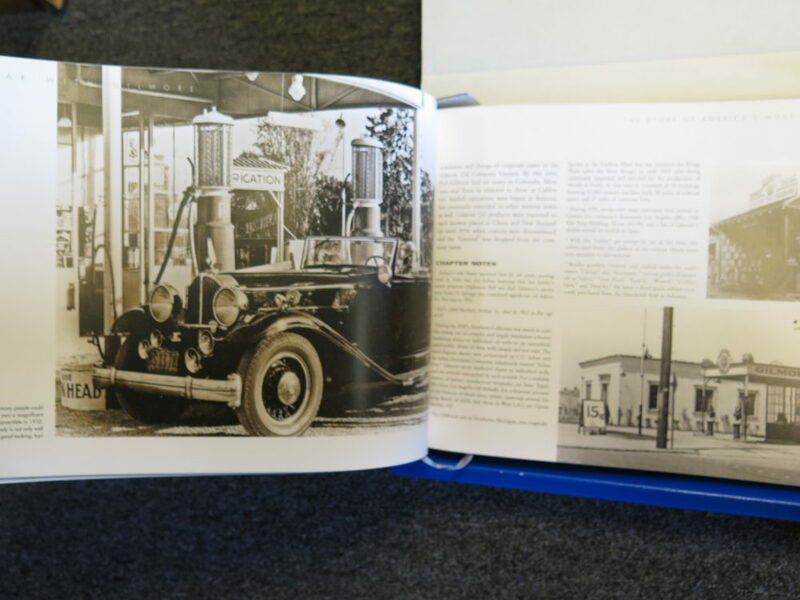 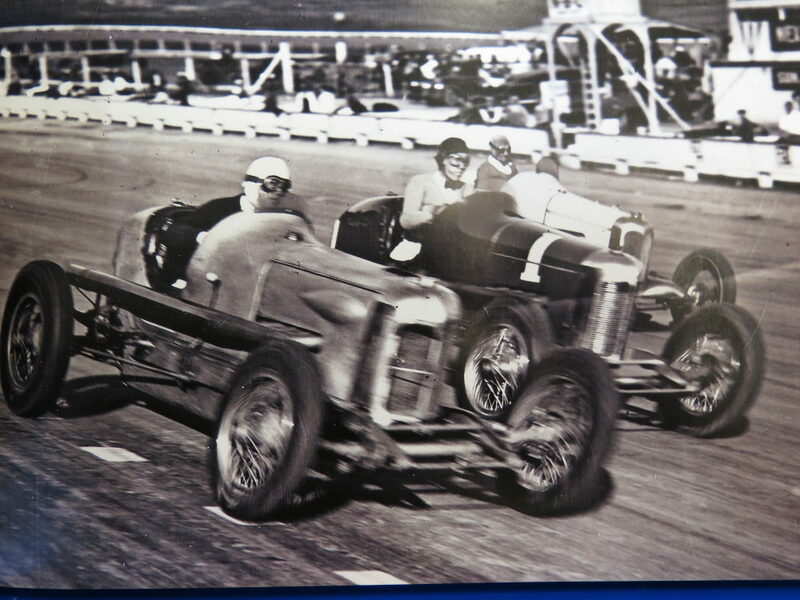 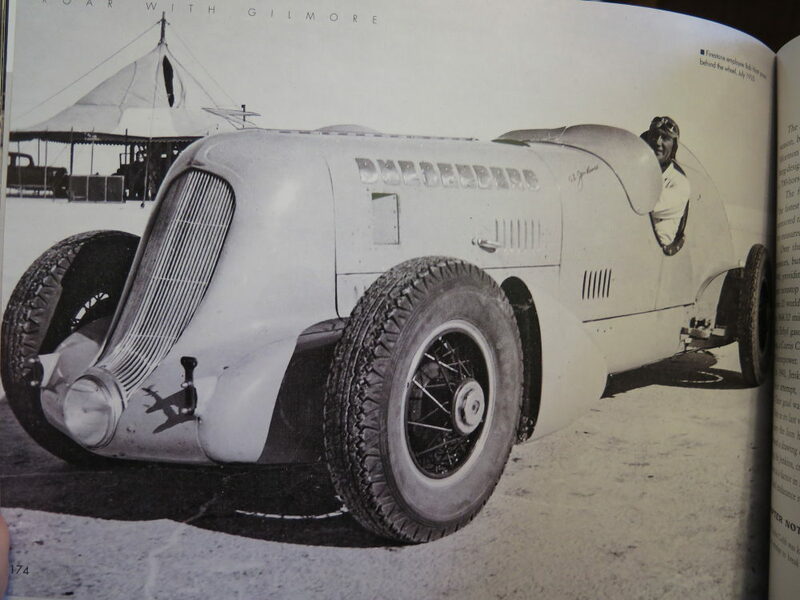 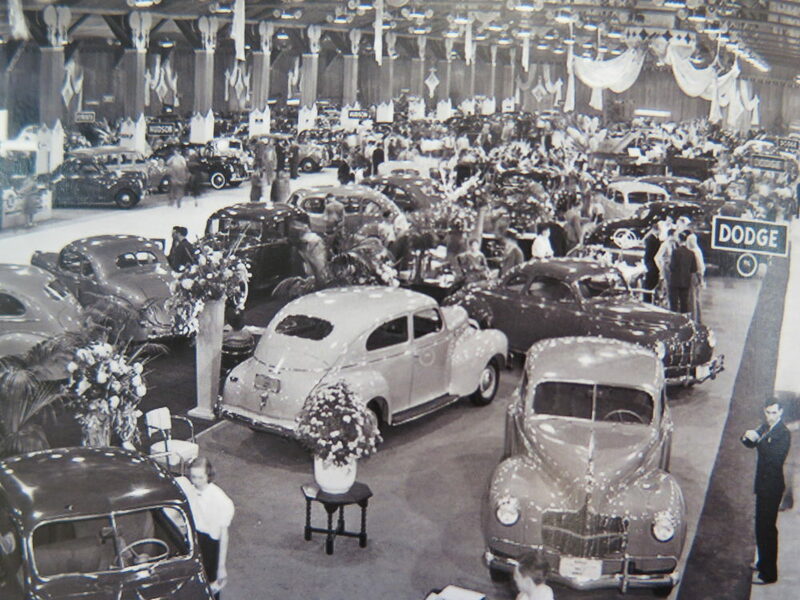 Two chapters are devoted exclusively to Gilmore’s racing sponsorship at Ascot, Gilmore Stadium, Indy and Bonneville. 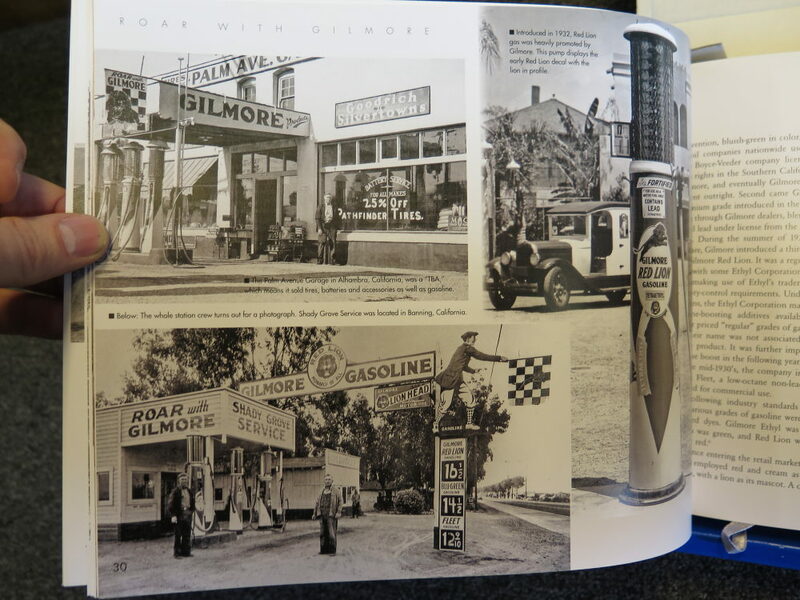 There is a chapter devoted to Alan’s extensive Gilmore collection (in color). 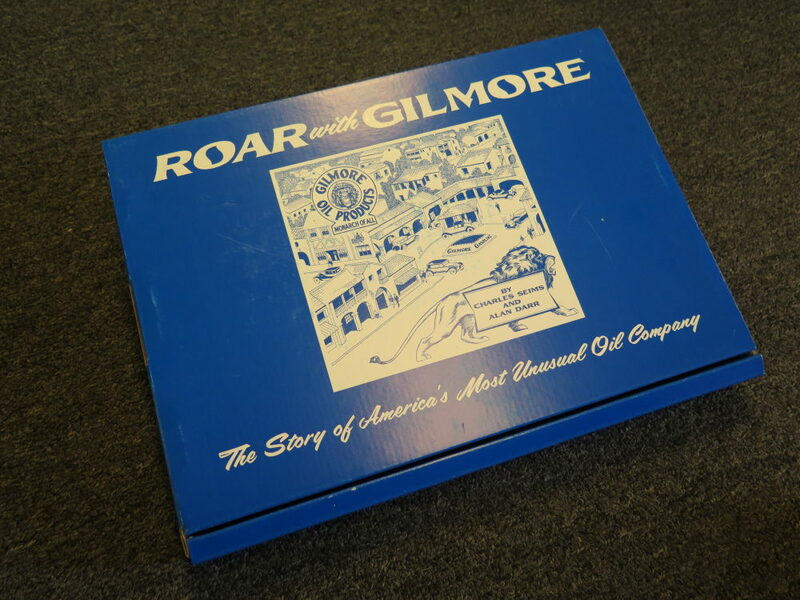 For instance, he has ten double sided Gilmore globes, all original and no duplicates.